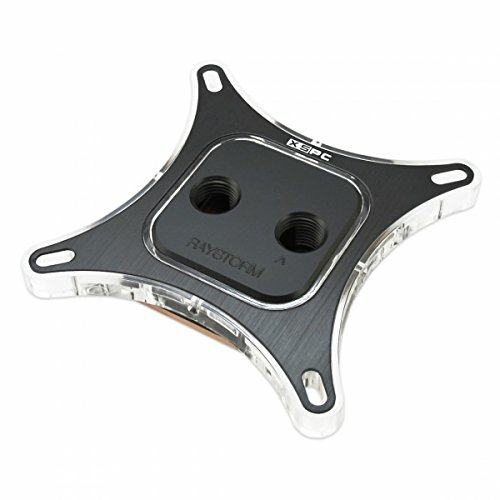 The RayStorm waterblock fits over the LGA2011-v3 socket perfectly, and seems to be one of the more popular blocks for its price. The LEDs are fairly bright, but just discrete enough for a calming look. Temps are generously in the hexacore's favor as it's known to run hot.